Other of the kings of barbecues, this beef steak is tasty, juicy a good options to understand why Argentine meat is considered one of the best of the world. Peel potatoes. Slice in cubes of 7 x 2 cm. Cook in water till they tender but not to turn into pieces. Dry and cool down. Make a first frying with oil at 130°C. during 8 minutes approximately or until the surface becomes firm. Take care that oil does not low down the temperature when introducing the potatoes. To avoid that fry little by little. Remove, strain and cool down again. Make a new frying with oil at 100°C. during 3 minutes or until it start to brown. Strain and put salt. Put salt on beefs. Place beefs in on a very hot grilled plate with a bit of olive oil. Let it seal well on one side and then turn them down, cooking till done as desired. 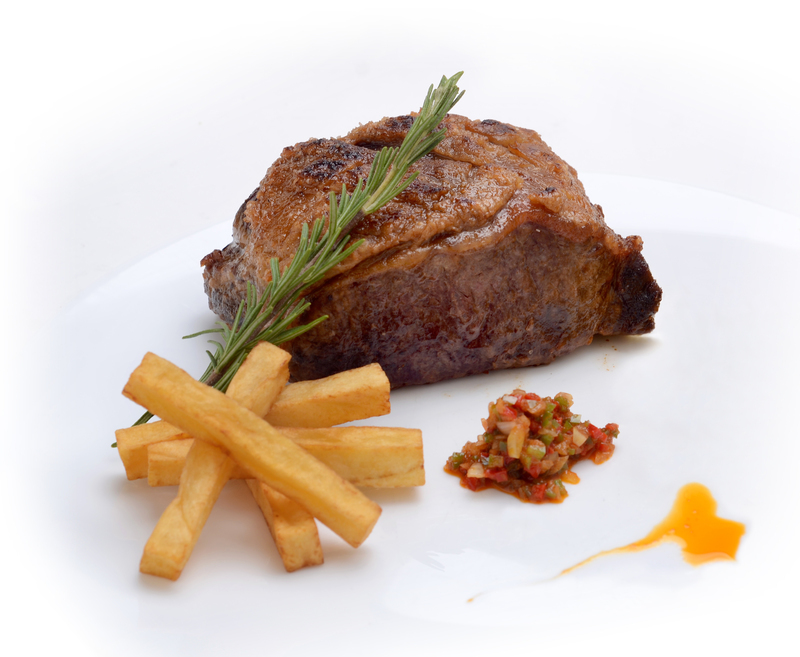 Serve beef and French potatoes with some sauce, for example, chimichurri or a native sauce (criolla). National meats also show of for the way the cuts are prepared. This beef is one of those cuts typical of Argentina. It is actually a narrow deboned beef, usually roasted thick and is served at different points as ordered only by the guests. It is one of the stars of the national barbecues.